All three pack sizes also contain all the vitamins, minerals and omega 3 that are needed to help meet your or your child’s requirements. Who is PKU cooler for? PKU cooler is for children and adults with PKU. It is suitable from 3 years of age onwards and can be taken right the way through childhood until adulthood, including pregnancy. Therefore, there’s no need to switch products again. Your dietitian will advise when is best for you or your child to move on to PKU cooler. Although it is suitable from 3 years of age it is often introduced at school starting age or later if needed. Why do I need to use PKU cooler instead of continuing with a second stage protein substitute? As we grow our nutritional requirements change, this is no different for those with PKU. Vitaflo products are tailored to meet these requirements in the most efficient way. Vitaflo want to make sure the right product is available at the right time to meet your or your child’s protein, vitamin and mineral requirements. PKU cooler meets nutritional needs in older children and adults and can replace the second stage protein substitutes, such as PKU gel or PKU squeezie. PKU cooler contains more protein in less volume to make taking the full amount each day easier. A ready-to-drink liquid protein substitute like PKU cooler, can easily be taken by a young child, encouraging independence. How much PKU cooler do I need? The amount of PKU cooler needed will depend on a variety of factors including age and weight. Initially, the amount needed may only be small but it will increase with age to support growth. Your dietitian will advise exactly how much PKU cooler will be needed each day. How do I use PKU cooler? What flavour is PKU cooler? 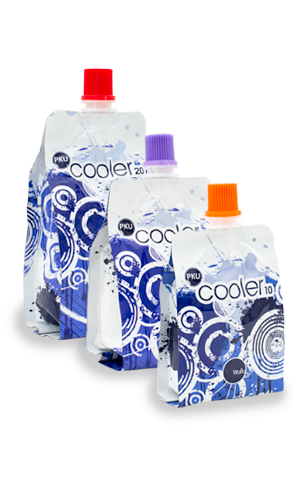 PKU cooler is available in white, orange, purple and red, known as PKU coolercolours. Each colour contains a blend of different flavours. You can choose your favourite PKU coolercolour to take all the time or you can pick ‘n’ mix the colours depending on what you feel like each day. PKU cooler is a ready-to-drink, liquid protein substitute which is great if you want something quick and convenient. If you prefer a powdered protein substitute with the flexibility to make to your own preference, then click on PKU express on the VitafriendsPKU product journey for more information. I’m an adult with PKU, are there any products specifically designed for me? PKU cooler is suitable from the age of 3 years onwards. The product is designed to meet your nutritional requirements even in adulthood. For adults with PKU who require a product which is lower in calories Vitaflo has another ready-to-drink, liquid product called PKU air. Click on PKU air on the VitafriendsPKU product journey for more information about this ready-to-drink product. Don’t forget to sign up to the Vitafriends newsletter to receive updates about new recipes, our low protein foods and PKU events in your area. Join the Vitafriends PKU Facebook page to get support from others with PKU. Click here to view our cooler colours handy hints which has lots great hints and tips about how to start cooler successfully. PKU cooler is a food for special medical purpose, and should be used under medical supervision.